Between the Intracoastal Waterway and the saltwater marshes of the Carolina coast sits Tidewater Golf Club, one of the area’s most sought after golf destinations. The course itself, just a short drive north from downtown Myrtle Beach, feels a world away from the busy city. Designed by Ken Tomlinson, this par 72 layout weaves its way through the natural Lowcountry landscape to make for a truly special round of golf. Featuring views of the Cherry Grove Marsh and glimpses of the Atlantic Ocean, courses like Tidewater are few and far between. Upon its opening in 1990, the course was recognized by both Golf Digest and Golf Magazine as the “Best New Course” and remains the only course to have received the award by both publications. However, these were just the first of 40 more awards that Tidewater would receive over the next two decades. The first of multiple memorable holes is the par-3 No. 3 that overlooks the inlet. A prevalent ocean wind and threatening hazard leave many risk-reward opportunities, a common theme throughout the remainder of the course. But Tidewater’s signature hole is the par-3 12th, appropriately named “The Wishing Well.” Saltwater marsh and strategic bunkering guard most of the green, so an accurate tee shot is crucial. The thousands of golf balls embedded into the marsh mud are the most accurate testimony to the true difficulty of the hole. 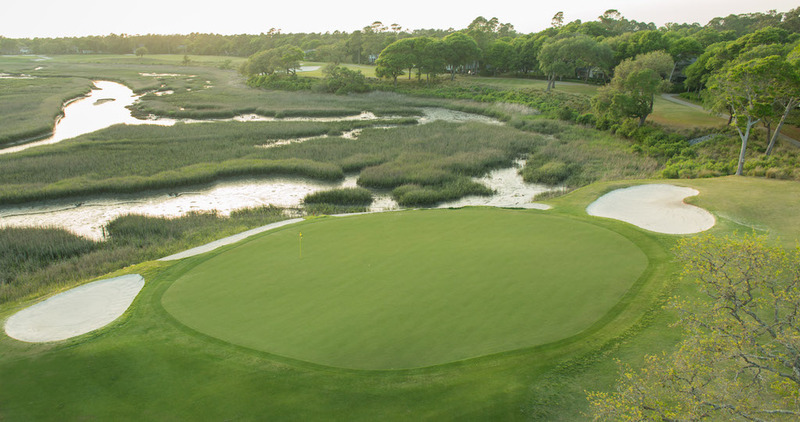 Equally as impressive as the holes featuring the coastal marshes and waterways are those set up among tree-lined fairways. It offers a break from the sea breezes and allows for more accessible birdie opportunities. To play this course and other outstanding layouts, check out our Beach’s Best Package and The Elite Package. To learn more about Tidewater Golf Club, click here or call 800.422.1587 today! This entry was posted in Myrtle Beach Golf, Myrtle Beach Golf Courses. Bookmark the permalink.